The aims of The Iguana Verde Foundation are twofold. 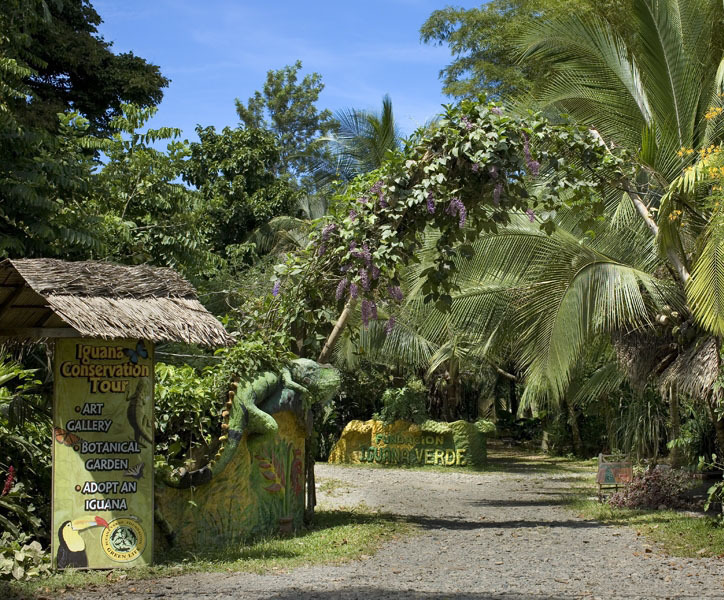 Firstly the breeding, raising and later release of fully grown Iguanas into the wild, within the safe boundaries of the Gandoca-Manzanillo refuge. Secondly the project is working at grassroots level, educating children in local schools about the project and getting them involved in feeding and caring for the existing iguanas. An experience you can only find in the most remote places on earth, now available to you in beautiful South Caribbean, Costa Rica. Discover part of the infrastructure that Iguana Verde has created in effort to protect the live and survival of the Green Iguanas. Effects of radio transmitter burdening on locomotor ability and survival of iguana hatchlings. Post-release Success of Headstarted Green Iguanas in Costa Rica.